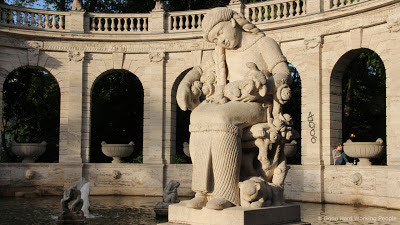 Märchenbrunnen (Fairy Tale Fountain) - In A Berlin Minute (Week 160) from Luci Westphal on Vimeo. The Märchenbrunnen (Fairy Tale Fountain) in Volkspark Friedrichshain was opened in 1913 and is the largest fountain of the Kaiser era. It was conceived by Ludwig Hoffmann. 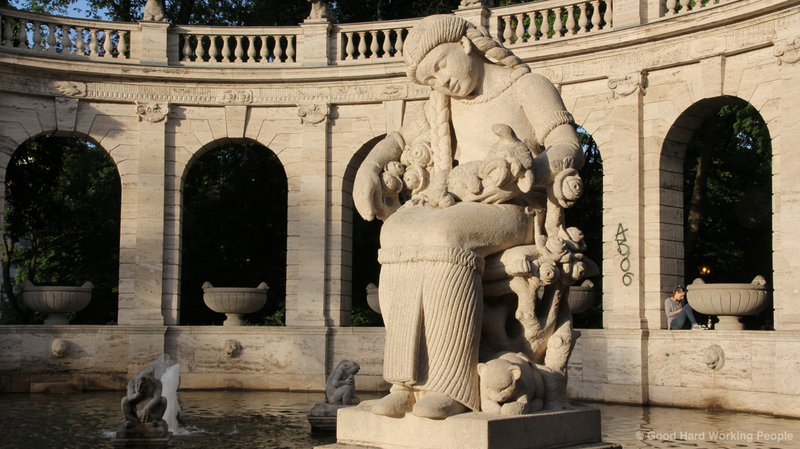 The fountain is surrounded by sculptures of characters from the Grimm Brothers' Fairy Tales, various animals and several children created by the artists Ignatius Taschner, Georg Wrba und Josef Rauch. Did you recognize all the characters? There are Hansel and Gretel, Puss in Boots, Hans in Luck, Seven Ravens, Cinderella, Little Red Riding Hood, Brother and Sister, Snow White, and Sleeping Beauty. While it was a beautiful how the light changed while I was filming, and the golden hour was quite magical, it became a bit of an issue in editing and trying to match the color. I thought about turning it black and white, but the sky was just too blue to turn it grey. The music is a sped-up version of "In A Tree" by Jason Matherne.